Bariatric surgery mitigates non-alcoholic steatohepatitis in 85–90% of obese patients. 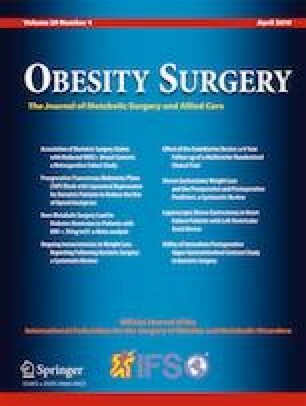 While animal models demonstrate similar results on a high-fat diet, none have observed the effects of bariatric surgery on a combined HFHC diet. Mice on a HFHC diet were used to confirm the development of hepatic fibrosis at 8 (n = 15) and 24 (n = 15) weeks. A separate cohort of mice on a HFHC diet for 12 weeks was subjected to either VSG (n = 18) or sham (n = 12) operations and remained on a HFHC diet for an additional 20 weeks. Changes in weight, dyslipidemia, and the development of steatosis and fibrosis were documented. Serum was obtained for bile acid analysis by liquid chromatography and mass spectrometry, while hepatic gene expression by RT-PCR was performed to evaluate intrahepatic lipid metabolism. Hepatic steatosis and fibrosis developed after 8 weeks on the HFHC diet. After VSG, mice demonstrated a sustained decrease in weight with a significant decrease in fibrosis compared to sham mice. Serum total cholesterol, HDL, and LDL were significantly reduced following surgery, while serum bile acids were significantly elevated. Intra-hepatic cholesterol excretion was not upregulated based on hepatic gene expression of CYP7A1 and ABCG5/8. VSG attenuates the development of hepatic fibrosis in diet-induced obese mice, presumably through enhancement of cholesterol elimination at the intestinal level. The research reported in this publication was financially supported by the Children’s Discovery Institute, Seed Grant Program (EW); NIH (grants R01 DK102110, R01 DK107533, and R01 DK062357; NIH P01 AI120944 (JWKW)); and the Dumont Research Foundation. The animal studies were approved by the Institutional Animal Care and Use Committee at UCLA. The content is solely the responsibility of all the authors and does not necessarily represent the official views of the Children’s Discovery Institute.